Powell had an amazing fall last year. The Mahomet-Seymour star won both the Metamora Regional and the Normal University Sectional titles. Then when it came to the state meet, Powell ran impressively again taking 4th place with a new PR of 14:45. 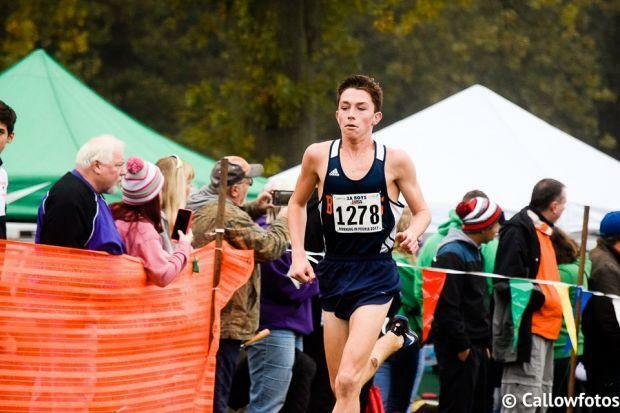 Then you can guess it, Powell continued his hot streak at NXR by taking 9th place! After a little time off Powell enjoyed a pretty good track season. Powered by a hyped battle that featured Logan Hall in the 3200m at the Centennial Charger Invite, Powell upset the wonder kid. Ultimately, he settled for the 3200m silver medal in Charleston.